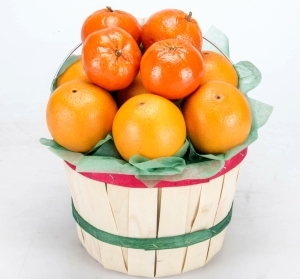 Premium Florida Oranges and easy-peeling Tangerines in an authentic rustic wooden fruit basket. We use mini size fruit to make sure the basket is filled to the brim. It's easy to mark a special occasion or send a "Thank You" with this sweet basket of healthy fruit.